Being organised means that we can accomplish so much more than when we just go with the flow. Having a planner changed the way I do organise everything both in business and in my personal life. So, as there are so many on the market these days, I decided to put this post together to make picking one a lot easier. I really do recommend that you choose wisely and take my number one tip on board before you buy: organise your mind. By that I mean figure out what exactly it is that you need to organise. Once you have sussed that out, you can move on to finding out which planning system works best for you. 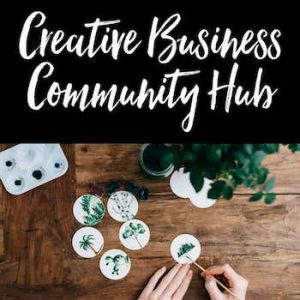 If you have a job and are running a creative business, not to mention all of the family events that you may need to keep track of, you absolutely need to avoid getting into a tangle of tasks and one of the best ways to this is a planner – that way it is all in one place. TIP: A good incentive for using a planner is buying an expensive one, that way you will feel like there is no escape from staying organised! As a married, busy mother of three little kids with business to manage, Emily Ley got the idea of a planner from her own need to manage her day well. With this planner, she wanted to help others like her get their work done alongside their other responsibilities. This planner has a daily and monthly layout. The daily pages give you space to fill in the day by half-hour intervals and make notes on the side of the page (perfect for writing lists) Get hold of your here. This planner comes in at $58. A weekly layout plus a monthly calendar to fill. Space on the side for weekly notes and goals. It comes with a ruler/bookmark, personalised gift tags, play date cards at the back. This planner comes in 2 different layouts; vertical or horizontal. This planner is super versatile as you have the option to clip in extra pages. The Erin Condren has a monthly and a weekly view which means you can plan well in advance and make sure you are doing them in the right order. If you are interested in the Erin Condren Life Planner, you can use my referral link to grab yourself $10 off your first order! These planners start at $50. A great alternative to the Life Planner is the Create 365 Happy Planner from Me and my Big Ideas. The Passion Planner aims to help you break down your goals and create steps that fit into your daily life to make your goals actionable. At the end of each month, there is a section which asks you questions that help reflect on the progress of your goals. This planner provides you with a weekly view with time slots so that you can really plan your day in a very detailed way as well as monthly and annual views. To get hold of your own Passion Planner and stay focused on your day check out the website here. The Bullet Journal is a customizable analogue system designed by Ryder Carroll. This system is an awesome way to keep a log of your tasks in a very simple and super effective way. Watch the video below to find out more about how this system works. Get your own Bullet Journal here. If you don’t feel like any of the above planners will work for your schedule, you could create your own planner so that you can really customise it to suits your needs. Erin Condren Life Planner for day to day tasks and planning months ahead for both personal and business. One notebook for random ideas that come to me. One notebook for blog post ideas. One notebook for taking notes from my business mentor. One notebook that I use solely for learning new things. Folders for each big project that I am working on. It may sound like a lot of notebooks, but seriously if I didn’t have these, I would not be on top on anything. 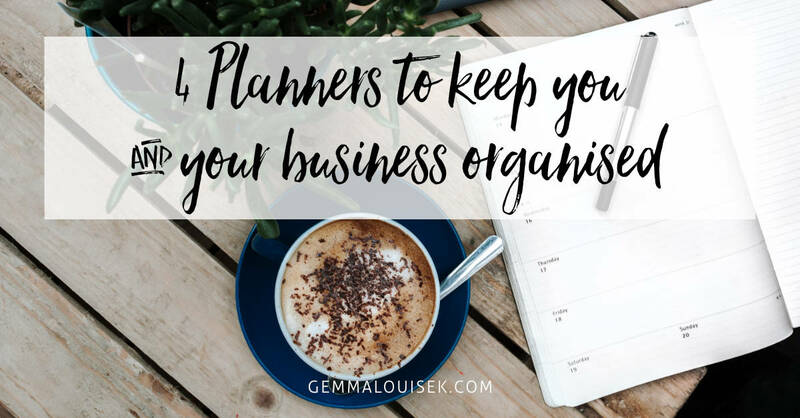 If you want to run a business, you have to be super organised so go out there and grab yourself a planner. If you have any planner recommendations or other any great ways to stay organised drop them in the comments.